Fine jewelry is an investment so it’s important to select carefully and buy pieces you know you’ll love forever. Now is the time of year when we get to dress up more so what better way to top off a holiday ensemble than with some fabulous jewels? 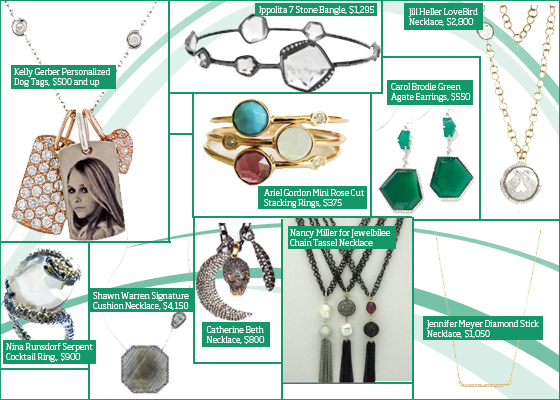 Check out some of my favorite fine jewelry designers and my hand-picked selections to give, get or just deck yourself out this season. Shawn Warren has been designing fine jewelry for over ten years, and with a main vision for versatility, it’s easy to see how she has become the “secret weapon” of society women and red carpet walkers. 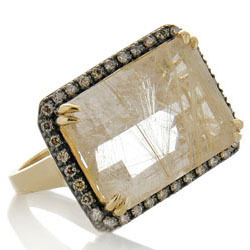 I met Shawn several years ago at one of her famous Hamptons trunk shows and I am a big fan of her designs. 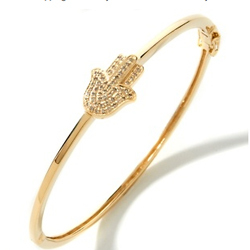 Patti Stanger, The Millionaire Matchmaker is also a fan and can be seen wearing Shawn Warren regularly. 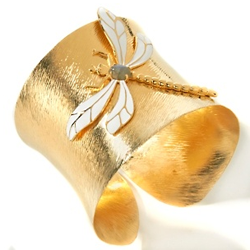 Warren recently launched a gorgeous and less expensive line and she offers a nice selection on her website. This Signature Cushion necklace is a splurge item but quite stunning–a pale aqua Sapphire encased in diamonds and set in white gold. I love its modern design and vintage charm. 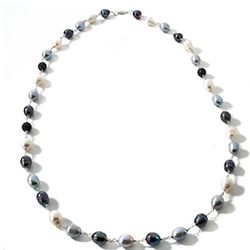 Owned and run by Jill Heller and Amy Heilberg since 2003, this line of fine jewelry is an impressive collection of contemporary and vintage. The LoveBird collection is gorgeous and caters to the most sophisticated shoppers. 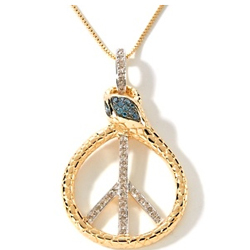 The pendent with its thick gold chain is a perfect statement piece to dress up any outfit. 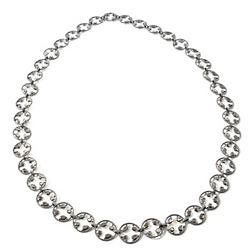 The layering of the chain also adds an extra touch of style to the already flawless design. I admire Amy and Jill’s talent for designing and finding exceptional pieces of jewelry. I still enjoy my purchases from them over the years and receive so many compliments when wearing their unique and stylish pieces. They also have a huge following among many New York celebutantes. The Florence born designer started her jewelry design house in 1993, melding together her love for beauty and craft which has caught the attention of celebs like Mila Kunis, Zoe Saldana and Sofia Vergara. The 7 Stone bangle in clear quartz with diamonds is part of the Ippolita Wicked Collection and I can see why! It is sinfully chic either alone as a statement piece, or stacked with some of your favorite bangles (that is how I like to wear them). The asymmetrical stones give this piece depth and I love how it plays with the contours of my wrist. I bought some bangles from Ippolita over ten years ago and still wearing them so I think they are a sound investment. After working in public relations and in editorial for Glamour Magazine, Jennifer returned to her roots in 2004, crafting her trademark leaf-shaped gold charm. Expanding largely since then, the designer includes a lot of Rubies in her collection, in honor of her daughter with husband Toby Maguire, Ruby Sweetheart. The newest edition to Jennifer Meyer’s Bar/Stick collection, the Diamond Stick necklace has wasted no time in landing on the famous necks of Hollywood’s A-list. Scarlett Johansson donned the design for her December 12th appearance on The Today Show and Jennifer Aniston rocked the piece in her upcoming film Wanderlust. Jennifer Meyer got her start alongside her grandmother, who taught the designer how to make enamel jewelry when she was just six years old. I love the linear array of diamonds in this geometric beauty and can’t wait to wear with the plunging neckline of my new favorite Jay Godfrey top. Nina Runsdorf has quite the jewelry pedigree–her family has been in the business for many generations as one of the top jewelers and diamond merchants, with a lineage tracing back to the founders of the Antwerp Diamond Bourse in Europe. 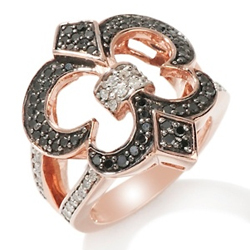 Runsdorf’s collection is glamorous and very special. In fact, met magnificent designs can be seen on celebrities and style mavens including Rachel Zoe and on the hit show Gossip Girl. I love serpent accessories and Nina Runsdorf’s snake wrapped, ten karat Moonstone slice nails it with its uber-chic design. The statement piece is resplendent and a throw back to Egyptian culture. 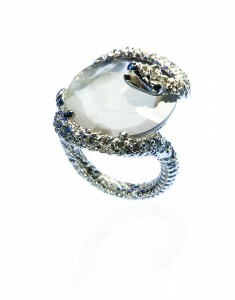 Keep other animal accents to a minimum when sporting this ring and pair it with something soft and feminine. I bought my very first pair of diamond studs from Nina as she is one of the best gemologists in New York City.